THREE WORDS: Spine-tingling Creepy FunMY REVIEW: I love me some zombies and zombie books are always a hit or miss with me. 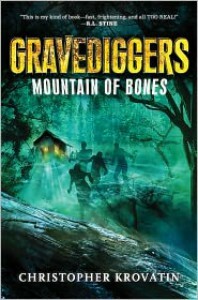 Christopher Krovatin's Gravediggers: Mountain of Bones is a definite hit! Sixth graders Ian, P.J. and Kendra travel with their school for a weekend camping trip full of hiking and wilderness training. The three students couldn't be any more different and aren't thrilled when they get stuck in the same group. But when jock Ian, film maker P.J. and brainy Kendra get seperated from their group and lost in the woods they must rely on each other to survive because they aren't alone. The living dead are out there and They. Are. Hungry!This may be a middle grade novel, but it doesn't lack any spine-tingling creepiness! Krovatin has crafted a super fun and entertaining story full of mystery, scary and exciting thrills and engaging characters.Fast and fiercely paced, Gravediggers takes readers on a breathless and addicting journey. A journey that genuinely and awesomely scared me in the best, most fun way possible. The scene Krovatin sets is deliciously and palpably eerie and cinetamatic. I felt the characters' fear and easily saw their story play out vividly in my mind. Krovatin weaves a fun story that is a wonderful blend of horror, humor and heart. The elements surrounding the origins of the zombies and the magic in the woods are really refreshing and different. And even though this is a MG book, the zombies are exactly what young readers crave- stinky, gross, grotesque, hungry for flesh and hard to kill. Yet, at the same time, the book isn't too scary, violent or gory and really is appropriate for the MG audience. The three young main characters are all likable and relatable in their own ways. Each chapter is told from the point of view of one of the characters, allowing readers to really get to know each one. Ian is a bit reckless and arrogant, but he has a good heart and funny outlook. P.J. is timid and shy at first, but grows a great deal throughout the book and ends up being very brave. Wickedly smart and endearingly awkward Kendra is my fave character. These three kids make an awesome and quirky trio and I really love the genuine friendship that grows between them. I love that the story doesn't feel farfetched or contrived, but frighteningly real and believable. 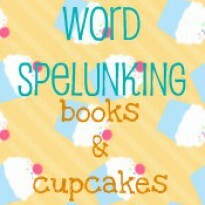 There are plenty of gasp-worthy surprises and horrifying dangers to keep even young reader engrossed for hours. And young readers will appreciate how resourceful, brave and smart the three MC's are. As the first book in a series, Gravediggers wraps up one storyline nicely, bet sets the stage for Ian, P.J. and Kendra's next big zombie adventure. And Krovatin drops quite the unexpected bombshell at the end *wink wink*MY FINAL THOUGHTS: The Goonies meets The Evil Dead indeed! I had a ton of scary fun reading Gravediggers: Mountain of Bones. Krovatin offers readers an exciting zombie tale with plenty of thrills and chills, with enough oomph to entertain older readers, while remaining appropriate for younger readers. A spooky and exhilarating read!